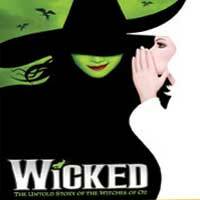 Wicked, the Broadway sensation, looks at what happened in the Land of Oz...but from a different angle. Long before Dorothy arrives, there is another girl, born with emerald-green skin-smart, fiery, misunderstood and possessing an extraordinary talent. When she meets a bubbly blonde who is exceptionally popular, their initial rivalry turns into the unlikeliest of friendships...until the world decides to call one "good," and the other one "wicked." 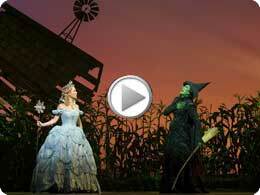 Long before that girl from Kansas arrives in Munchkinland, two girls meet in the land of Oz. One - born with emerald green skin - is smart, fiery and misunderstood. The other is beautiful, ambitious and very popular. How these two grow to become the Wicked Witch of the West and Glinda the Good makes for "the most complete - and completely satisfying - new musical in a long time" (USA Today).